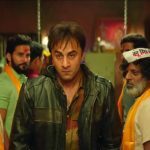 A couple of weeks back released highly anticipated Sanju has passed its last two weeks on an exceptional note and now just a step away to join the 300-crore club at the domestic box office. Due to a strong word of mouth, the movie is performing tremendously and still has a solid hold over the audience. 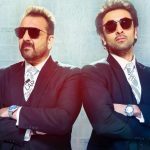 Based on the life of Indian actor Sanjay Dutt, Sanju has got succeed to impress almost all the viewers and received very positive feedback for its impactful story-line and proficient direction. The actor Ranbir Kapoor and director Rajkumar Hirani are being appreciated by everyone for their brilliant work. After the two blockbuster weeks, Vidhu Vinod Chopra’s production has now entered in the third weekend and still has approx. 2000 screens nationwide. On its 3rd Friday, this biographical drama faced a drop of 24.45% and minted the amount of 4.42 crores. With this, the total collection of Sanju has become 299.60 crores at the domestic box office. Fox Star Studios’ presentation was released amid huge buzz and as expected took the biggest opening of the year so far. By remaining super-strong throughout the first week, it did the business of 202.51 crores that included 120.06 crores of the weekend and 82.45 crores of weekdays from 4000 screens. 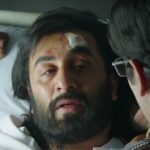 Then in the second week as well, Sanju remained impressive and collected the business of 92.67 crores with 62.97 crores on the weekend and 29.70 crores on weekdays from 3000+ screens. After 2 weeks, the total collection of the movie was recorded at 295.18 crores nett.